A perfect meal for summer! With as hot as it has been, the last thing I want to do is cook all evening in a hot kitchen. In fact since summer began, the only thing my body has been craving are salads and fruit...lots of fruit! This recipe was perfect. 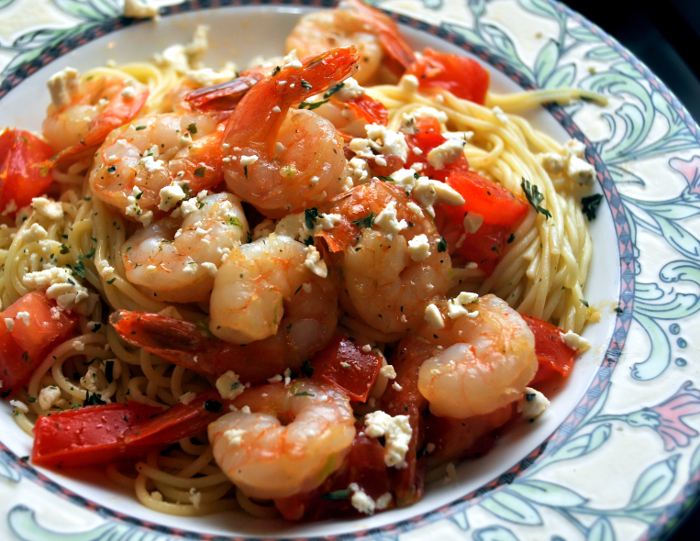 Season your shrimp, throw it in a pan with a few other ingredients while your pasta is cooking and top with cheese. It was as refreshing as it was easy! 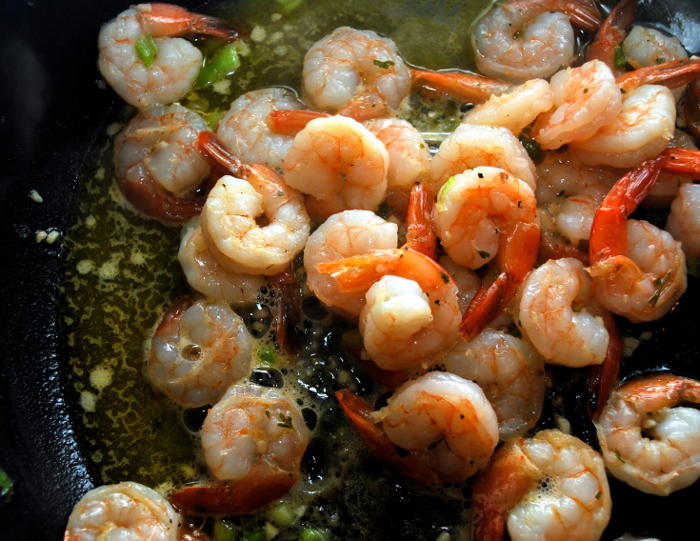 Also, since you are using cooked shrimp, it's okay to eat a few on the side while you are cooking...especially if you have cocktail sauce. Just a thought. Cook pasta in a medium saucepan according to directions on package (boil pasta 'til "al dente"). Meanwhile, heat white wine in a large skillet on medium-high heat. Reduce heat to medium and whisk in butter. Heat 'til mixture is reduced by half. Add shrimp, green onion, parsley, garlic and the tomato. Reduce heat to low and heat through, about 10 min., stirring occasionally. When pasta is finished, transfer to serving bowls. 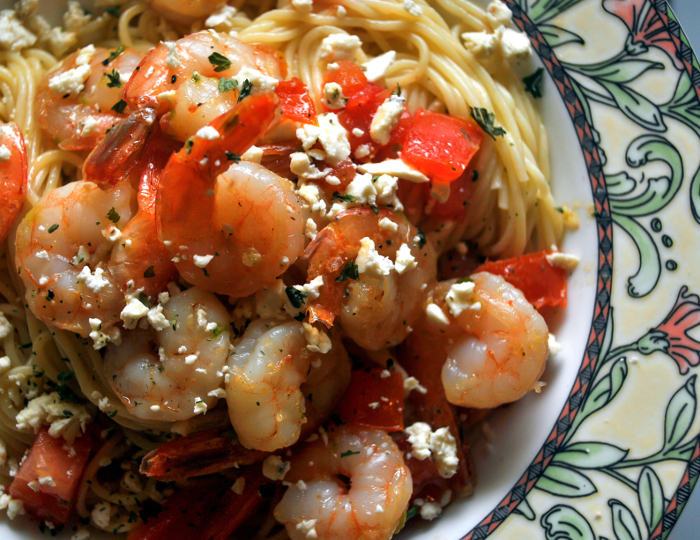 Divide shrimp/butter mixture between each bowl and toss so pasta is coated with sauce. Top with crumbled feta.